虽然萨帕早已熟悉了游客, 钽炳村仍然是一个新的名字. 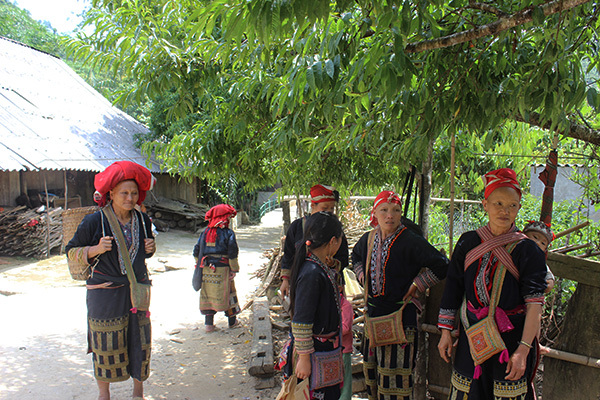 位于约17公里以西的Sapa的, Ta Phin is a village of Black Mong and Red Dao’s people who have a rich culture that has not been damaged by modern life. 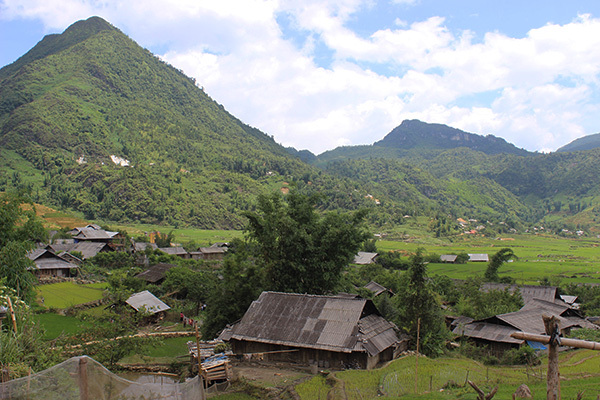 Ta Phin Village is located in Ta Phin Commune, Sa Pa District, about 12km northeast of Sa Pa Town. The village is surrounded by mountains with spectacular rice terraces. 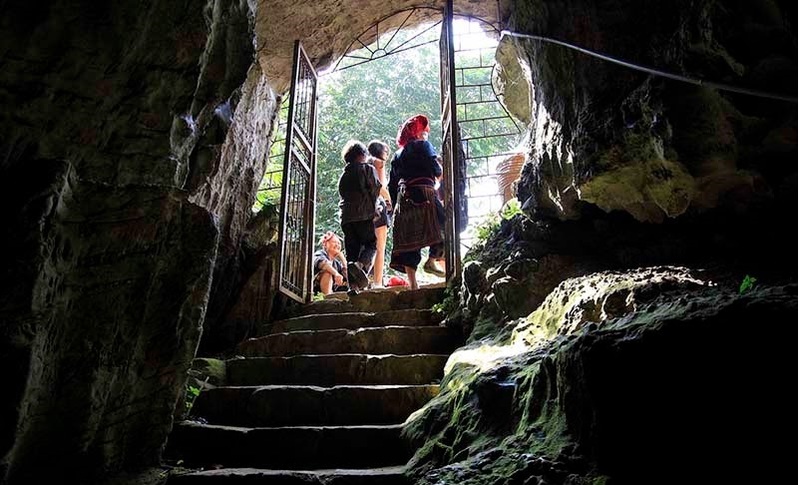 The best time to visit Ta Phin is in late afternoon when tourists can enjoy amazing view of sunset over the village and the surrounding areas. 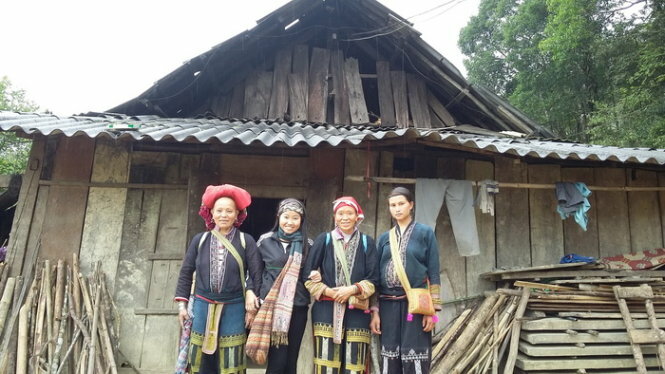 In Ta Phin Village there are two ethnic minorities living in harmony. 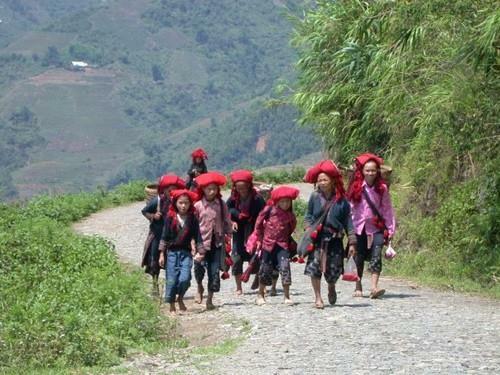 They are the Red Dao, who make up the majority, and the Black Mong. 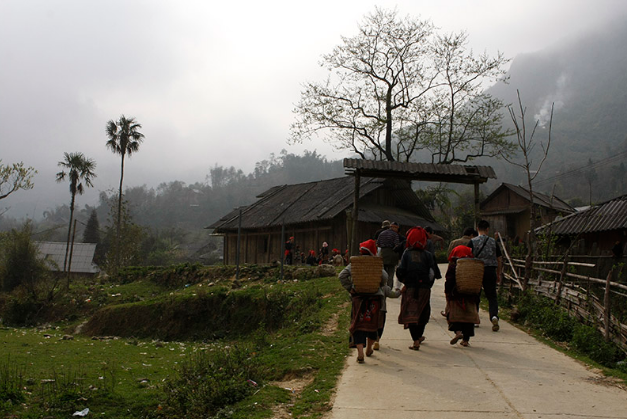 It is best for the tourists to distinguish the difference in culture, way of living of ethnic minorities in Sapa. 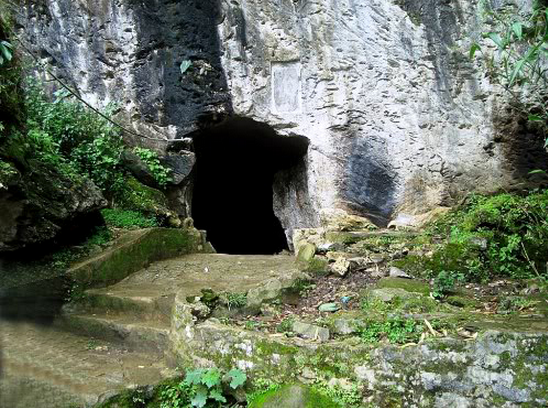 TA菲因是红岛的族群沙巴区的区域内最近的村庄. 来自萨帕, 这将需要大约 30 minutes to reach by motorbike. 山区公路可能很难让汽车动, 所以最好的解决办法是聘请“XE OM”, 或摩托车出租车, and the experienced driver will take you at a very reasonable price with many useful tips. 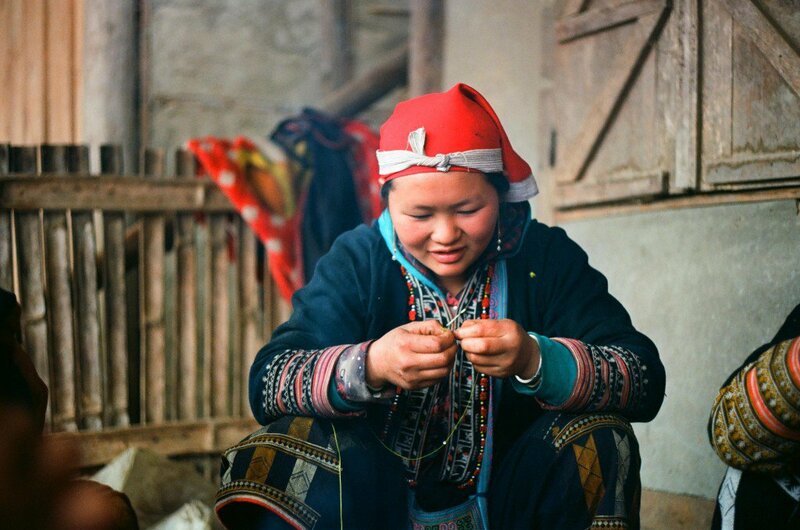 A common sight in the village is to see the woman and the girls sitting together, gossiping and laughing, head down focused on a piece of indigo colored cloth. They make embroidery and brocade productssold and traded amongst the villages and visitors. The locals are friendly and will invite the tourists to go to their homes to show how they live and what they own. 因为 1998, Ta Phin has been the “brocade village”, where tourists can find distinctively hand-made brocades made by ethnic people. 所有的产品都醒目无数鲜艳的色彩和图案, ranging from bags, scarves, purses, skirts, and even backpacks and coats. 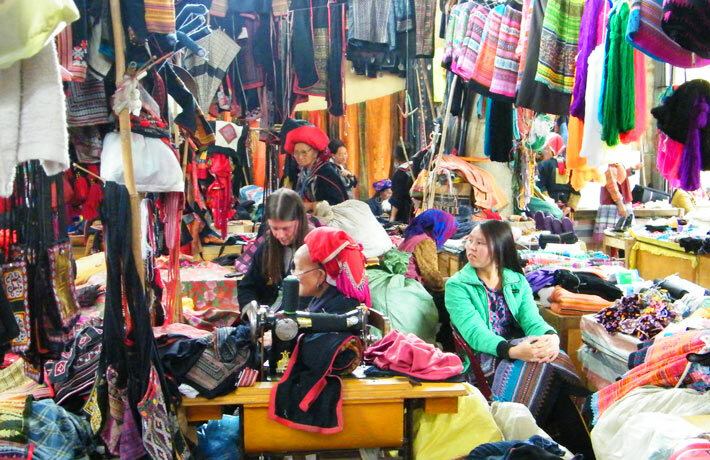 Ta Phin is also the main supply of brocade for shops in Hanoi and Ho Chi Minh City, 且产品远销国外，以及. Through time, 钽菲因村, 然而, keeps its special traditions. 如果你足够幸运, you can have a chance to participate in a Red Daowedding, seeing how carefully they prepare for the complicated customs for this occasion. 还有一些当地的节日，如“舞蹈节”, “迎接新的房子”, and“oath-taking ceremony” that will help you understand more about the simple but happy life of ethnic people. 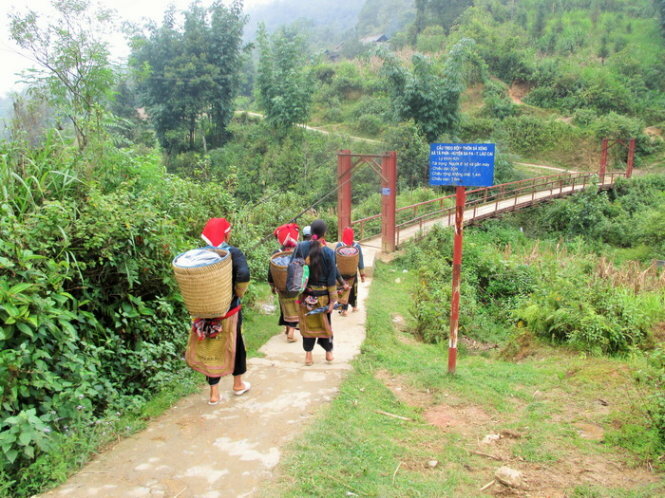 Ta Phin Village has recently become a famous destination for trekking tours. Whether the tourists choose to stay overnight in the village or just visit for a day, the locals will be happy to organize a tour. 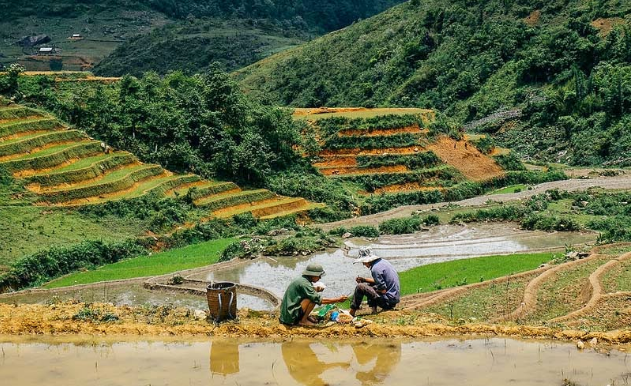 The tourists may meet locals working in the field, see traditional housing, visit caves and medicine bath complex or go for a long walk through the rice paddies and see mountains.